This following story takes us to Bruges in Belgium. Danny Mae a contractor and machinery dealer who's family has held a long standing dealership with Massey Ferguson and before that his grandparents had the Massey Harris dealership before that. So Danny has grown up with this marque and has seen all the various models pass through his families premises! From the 525 Kilmarnock built to the 535 that followed on from Marquette and also the Randers Plant. Danny made several visits while picking up new Combines that had been ordered through the Family dealership. 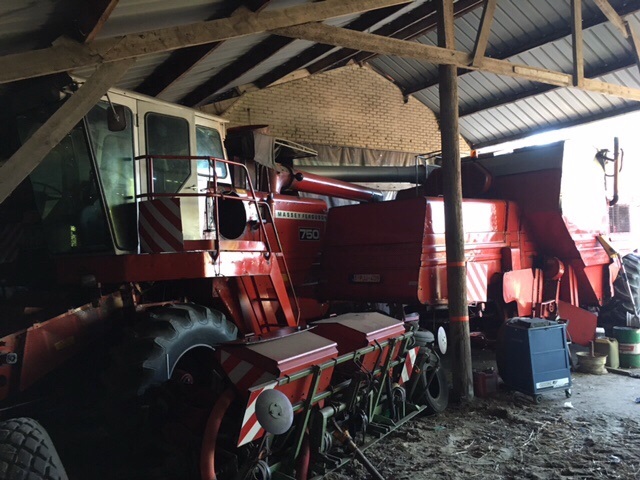 Dannys fathers cousin actually worked at Brantford in Canada and Danny's father visited the plant several times with other dealership owners, and he first remembered seeing the 36 ft header!! And this was in 1979. 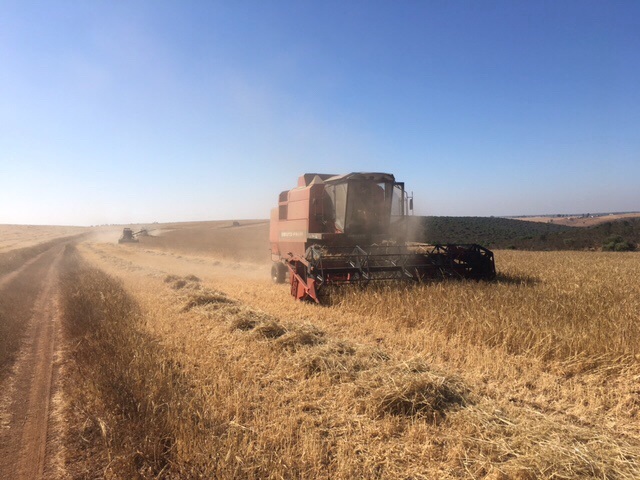 In 2012 Danny's father sold up the dealership,but Danny's experiences with the MF marque had given him much confidence to use Massey Combines and Tractors in his own contracting business which he first set up in 1999 in Morocco !? 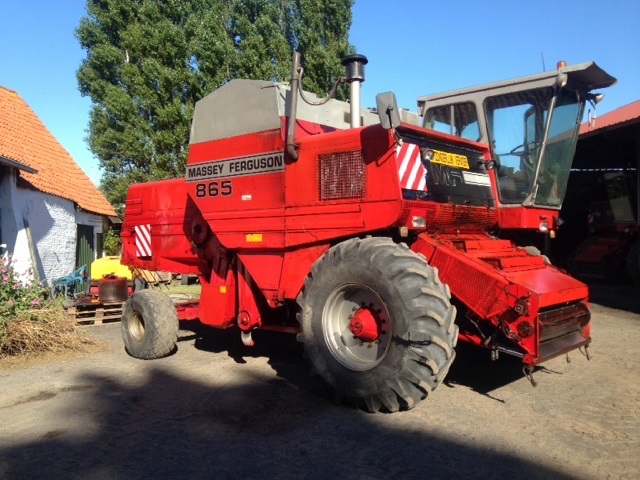 Danny also took the opportunity to set up a second busines in 2005 exporting farm machinery and tractors and particularly Deuts Fahr combines to Morocco. 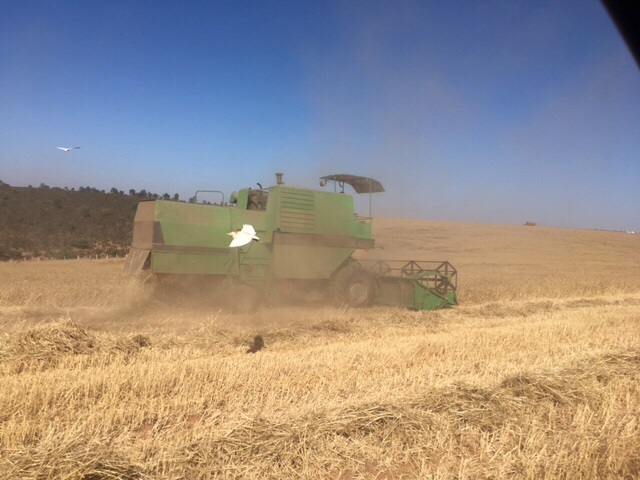 in 2011 Danny started whole contract farming offering ploughing drilling,combining and bailing, also grass harvesting etc.. he uses 6 combines Deuts Fahr in this very hot arrid climate in Morocco, he has used older Masseys in the past but overheating issues has left him preferring to keep his Massey fleet at home. The summer temperatures here average over 50degrees!! and harvesting is usually hot and dry. 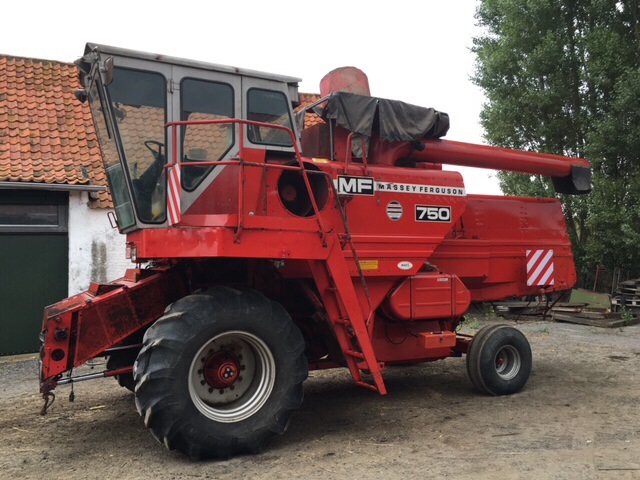 Back at home in Bruges Danny harvests over 250 Ha for several customers, with his small fleet of combines, these consist of. 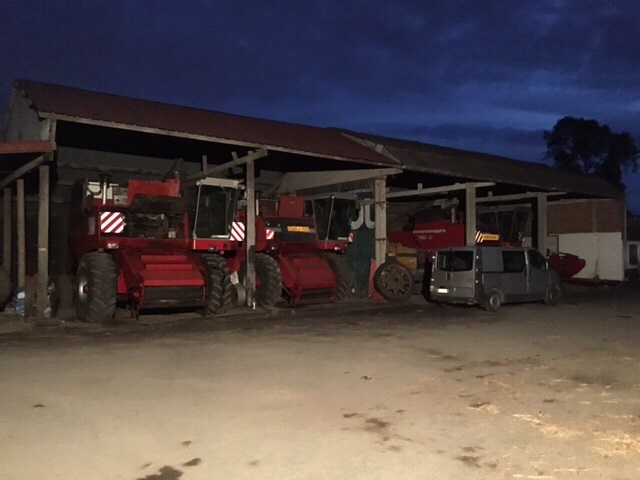 All of these combines work every season and Danny keeps up on the maintenance as he has collected a great deal of parts over the years from fire damaged or trade ins that were not sold on, but he also has contacts here in the UK and US. 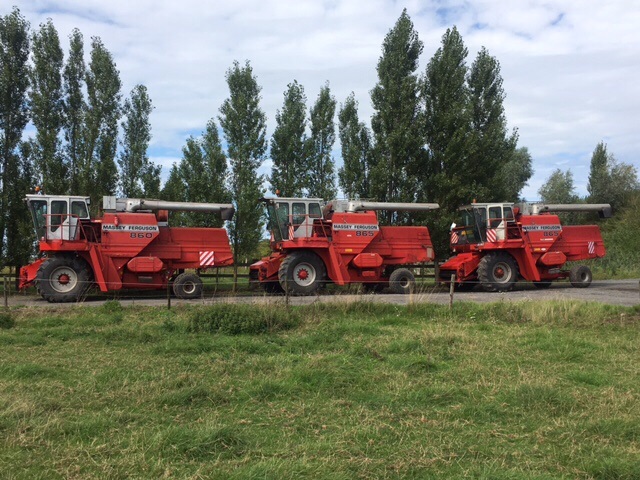 As Danny points out they are a real cost effective way of harvesting crops when the margins and input costs need to be strictly maintained! but also he throughly enjoys operating these now veteran machines. Here we have now a selection of photos of some of these Brantford built machines. One of 2 865s in Danny's fleet. The paintwork looks in mint condition.One of 2 750s with the fabric grain tank covers! On the move with the 14 ft table (header) hitched behind. Stored away awaiting there next season ! 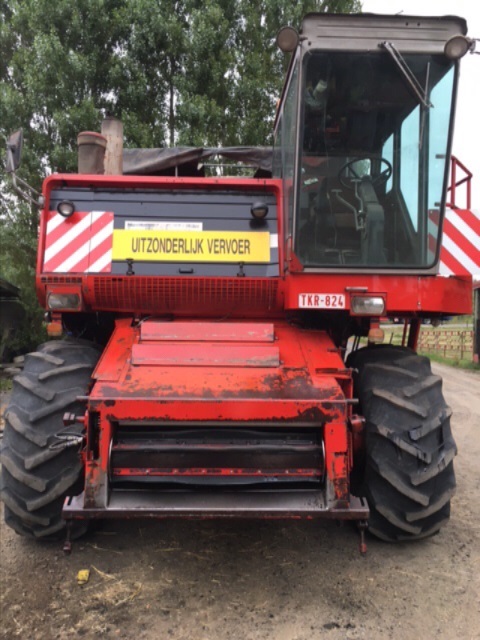 With clear warning width markers fixed Danny's combines travel several miles during the harvest season. 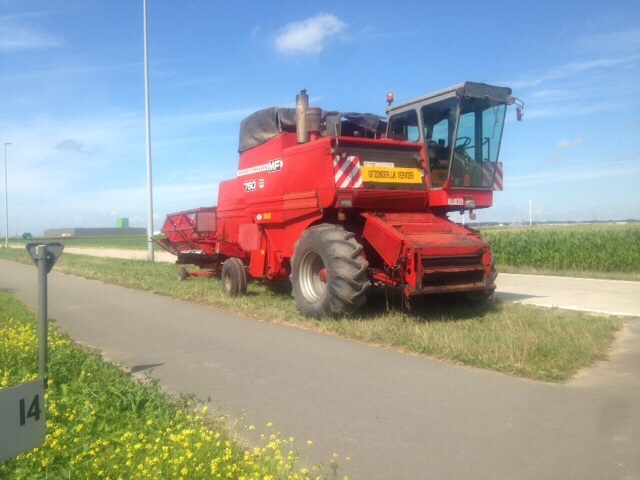 One of several of Fahr combines at work 2000kms from Danny's home in Belgium. 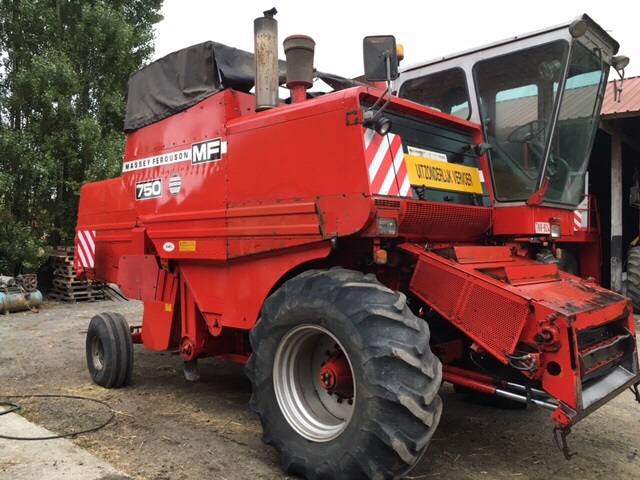 A big thank you to Danny for sharing these photos and details of his collection of Massey Combines. 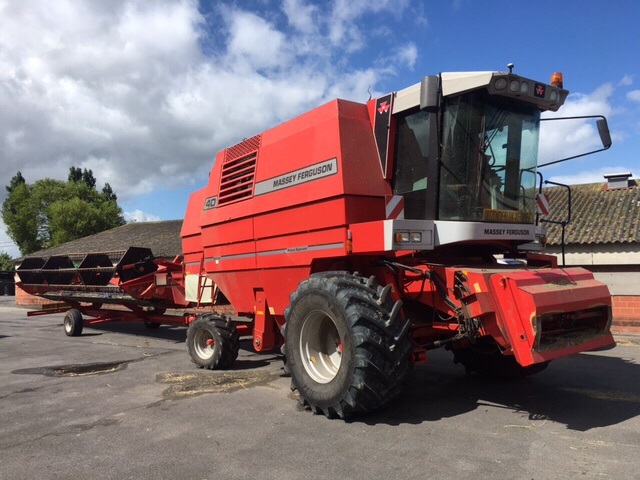 It never surprises me to find yet another contractor still using these combines of yesteryear! . And it's certainly not all about big expensive modern machinery .